You’re navigating some deep, transformative and emotional waters this week, Aries. Much of what you will be dealing with will involve your values and what you are willing to trade, give up, compromise on or ‘settle’ for. Or be prepared to walk away from if necessary. Money, mortgages, assets, what you share with others, credit, taxes and what you owe or is owed to you in return all feature as the Sun enters your 8th this week shining on personal power issues. It’s not so much about what you have – but how you feel about what you have that counts. That’s where the emotional shift takes place this week. Very often we focus on what we don’t have however. That is usually counterproductive as it makes us feel worthless or puts us in a position where we constantly strive. When it comes to relationships this week, tap into the knowledge you are enough as you are right now. If anyone is making you feel you are not, look closely at this and again, go back to those values. Do you value yourself? The full Moon in your 2nd this week promises a particularly powerful emotional shift not just around money matters but how you expect to be treated by others. The full Moon and also Uranus in your 2nd will oppose the Sun and Venus in your 8th and all square the North Node in your 5th. What do you feel you deserve? The 2nd is Venus’s ruling house remember. Financial matters may require negotiation as could relationships both business and personal. Romances that are already in motion could go to the next stage. Get ready for a beautiful outcome as the Sun meets Venus in your 8th. Your results depend on your values this week. Know you’re worth it, Aries. In a nutshell: Look to your values this week, Aries. What you believe you’re worth, and what you think you deserve shape what you receive. 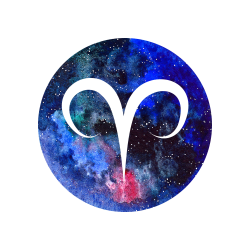 With the Sun and ruler Venus meeting in your 7th this week plus a full Moon in your 1st, this week is all about others and relating, Taurus. Time to ask those questions around what you want and what you need and whether you are getting enough? Also, have you been putting off tackling relationship issues or having that ‘difficult’ conversation with someone? This full Moon will intensify those feelings and also demand emotional honesty. The thing is, the other party always knows if we are holding something back even if they can’t quite put their finger on it. We just kid ourselves they don’t. This full Moon triggers powerful patterns between that Sun/Venus meeting, Uranus in your 1st prompting you to a personal evolution and the cosmic North Node in your 4th which is of course, the Moon’s ruling house. It’s all about your sense of belonging now. Who with and where. Time for some love determining decisions. With the Sun and Venus meeting you can be assured of beautiful outcomes. But be aware of the fact that your ruler is now very much in retrograde form. So, please bear in mind this is not the time for new beginnings in love or partnerships. Rather it marks a period of completion or relationship ‘gardening’ – to tackle those tasks you have been putting off. Or in some cases to welcome back the return of an old love, connection or even work opportunity. There’s a wonderful feeling around of all this despite the emotional intensity this full Moon can trigger. And that is of breaking free into a bigger, more authentic type of relationship. 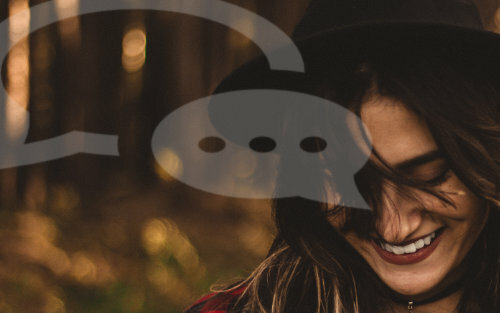 If you’re single and seeking, you’ll be able to define what that is now. 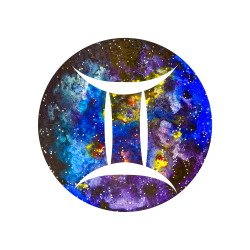 Choose honesty and freedom in love this week, Taurus. In a nutshell: This week’s full Moon demands your honesty when it comes to relating. While ruler Venus promises beautiful outcomes when it comes to love. Set your heart free this week, Taurus. It’s all a bit mysterious this week, Gemini thanks to an intuitive full Moon appearing in your 12th. Stand by for shocking or out of the blue insights designed to radically change your perspective. A quantum shift is happening this week and you are about to see something or someone very differently. Above all, follow your insights and don’t ignore that gut feeling. A superstring of synchronicities, clues and coincidences could lead you to a hidden truth. This full Moon makes astounding aspects to Uranus in your 12th intent on uncovering secrets for you. 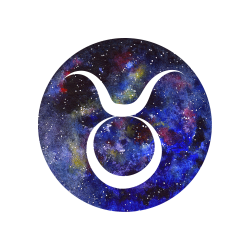 It also opposes a powerful meeting between the Sun and Venus in your 6th of all kinds of work (paid and unpaid), health and wellbeing as well as the North Node in your 3rd. News or something you hear could just change everything. And with Venus involved this could be revelations around love. You’ll notice both houses in your chart which are Mercury-ruled are impacted by all this. 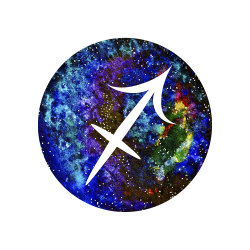 Ruler Mercury itself is in its ruling 6th this week. Right now you have four planets in here – the Sun, Mercury, Venus and Jupiter. You won’t see another line-up like this for 12 years. Venus is also retrograde in here. What this says is that what news arrives or revelations that occur are long overdue and necessary. Past opportunities around work or study could magically reappear. Or you just see you have been labouring under false pretences and this in itself provides you with a change for the better and a release. 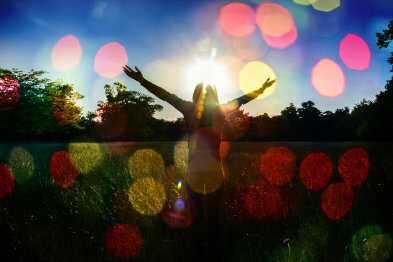 Loving yourself and your wellbeing become new priorities which emerge from this. This week says what you hear, are told or learn is what you need to know. Proceed on that basis, Gemini. In a nutshell: There’s something important you need to know, Gemini. And the truth at its heart is about love. This could even be loving yourself or ridding your life of something toxic. Get knowing. The Sun enters your fabulous 5th this week plus you have a full Moon in your social sector. With four – yes, four planets lined up in your 5th – the Sun, Mercury, Venus (retrograde) and Jupiter. You will not experience a line up like this for another 12 years. This is your house of creativity, pleasure, romance, fun and children. The full Moon in your 11th is all about being out and about, enjoying good times and the company of like-minded people. It just happens to fall conjunct the ruler of your 11th house – Uranus while both oppose the Sun and Venus conjunct in your 5th. And all four impact on the fated North Node in your 2nd. Holy destiny! Cosmic forces are at work under this full Moon. You’re being sent down a certain path which crosses with another. Let destiny drive you. Remember, Venus is retrograde and just like with a Mercury retro, a Venus one comes with its own set of rules. These include not entering into a new romance, taking on new financial commitments or major expenditures during this cycle. 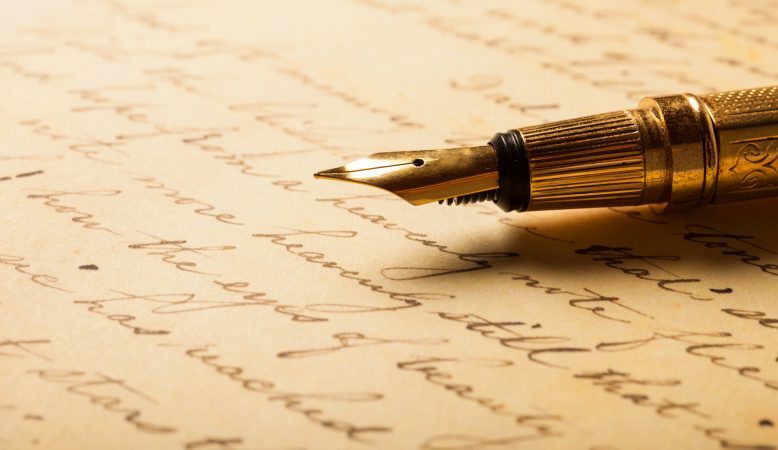 However, with these two houses involved past lovers, past connections, past creative projects, past goals and past pleasures could be resurrected. There’s an element of surprise around all of this (Uranus rules surprises), in that you could run into someone from your past when and where you least expected to, and discover the connection is still there. Or find yourself propelled back into a group or activity you used to enjoy. An old goal you had given up on, could suddenly revive or come within reach. What goes around comes around this week, Cancer. In a nutshell: Sometimes what goes around comes back with new meaning, Cancer. You could be set to re-encounter someone from your past. Crossing destinies feature now. Define your place and your future now, Leo. A future-determining full Moon sails across your 10th of career, recognition and reputation this week. It’s time to focus on your security, your long-term career path and what you need in order to build your future. This week sees ruler the Sun enter your 4th of home, homeland, family, living arrangements and lifestyle. You have an amazing line-up in this house of your chart which you will not experience for another 12 years! This includes the Sun, Mercury, Venus and Jupiter. With both Venus and Jupiter involved it’s about big, beautiful moves this week. But there’s more. Venus is retrograde. Like Mercury Venus retrograde have their own sets of rules. No starting a new romance if you are seeking something lasting and no taking on new financial arrangements. However, refinancing or in the case of Venus in your 4th, renovating or seeing a property deal or career matter you thought you had lost out on, reappear, is likely. If you have been trying to move but stuck in a chain, this may signal your break free moment especially as the full Moon in your 10th falls conjunct Uranus in here, opposes that Sun/Venus conjunction and angles to the spinning point of fate in your chart – the North Node in your 1st. Decisions determine where you belong and with whom now. Big moves could also mean a shift around your career. Full Moons bring peak experiences, Expect something to come to a conclusion which ultimately impacts on your security this week. With a big move to follow. In a nutshell: Big, bold beautiful moves around your living arrangements or your career break you free into a wider space. You’ve freedom to move this week, Leo. Think in the long term. This week brings one of my personal favourite full Moons of the year. It’s the point when we have a full Moon in our 9th house. 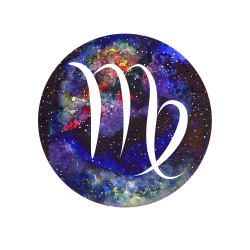 This is yours this week, Virgo. This full Moon always evokes an emotional release. Of setting sail, of sighting land after a long time ‘’at sea”, or just embarking on a journey either real or metaphorical. This is a good time to ask where you are on your personal journey and make any course adjustments. This should come with a sense of excitement, adventure and a feeling you are stepping outside your comfort zone. What’s out there? That’s where the magic happens. If you are brave enough and bold enough to step outside the familiar, you meet new opportunities and different solutions. This is what this full Moon offers as it falls conjunct Uranus, planet of the experimental and unexpected and opposes a fabulous Sun/Venus conjunction in your 3rd house of travel, transport, communications and news. The full Moon is asking what you have learned about your journey so far and to put this to good use. You also have a grand total of four planets in your 3rd house this week. You will not see a line up like this in here for another 12 years. The Sun, Venus (retrograde), Jupiter and your ruler Mercury (in its ruling house) mean news is on its way and due to the Venus retrograde influence, this could involve something stemming from your past. Hearing from someone from your past is one possible outcome as is news of a win or success around publishing, work, business. With this full Moon casting its light across all of this, travel or embarking on a course of study are yours to explore. Something is about to expand your horizons and your world. It could involve stepping out into the unknown. 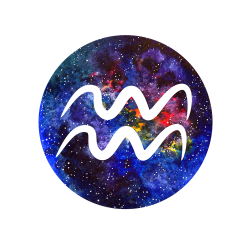 Chart a new and different course this week, Virgo. In a nutshell: Something comes into view or you set sail in a fresh direction this week, Virgo. Step outside your comfort zone. That’s where your opportunities lie and the magic happens! Ruler Venus is retrograde and in its ruling 2nd house in your chart. I should not need to labour the importance of keeping a close eye on your expenditure now and also to resist the temptation to splurge or enter into new financial agreements. This is your power money week as a full Moon appears in your 8th promising a major transformation around money, resources or even a relationship. It’s important you stay connected to your core values and come from a place of confidence and empowerment now. The Sun arrives in your 2nd this week and when it does, this brings the number of planets in here to an incredible four. You will not have another line-up like this in here for 12 years. You now have the Sun, Mercury, Venus (retro) and Jupiter all in here. The Sun and Venus will meet and also oppose that full Moon in your 8th. This full Moon falls conjunct Uranus in your 8th and all of these will form an angle to opportunity to the North Node in your 11th. Destiny takes an unexpected turn and with Venus retrograde, this links to something from your past either in terms of your money or a relationship you value. There’s a lot written about squares and oppositions and the important thing to remember about them is that contrary to popular belief, they are not necessarily negative. They actually contain huge potential. But they require an extra level of effort from us to realise this. If you find yourself in a situation you have been in before, this time dig deep and use those inner resources. Give it all you’ve got if something is presented to you a second time. You’ll never know what you can achieve until you try, Libra. And nothing that’s worth having in life is won without an effort. In a nutshell: If you find yourself experiencing déjà vu when it comes to an opportunity, reach for your inner power. Push through barriers for second time around wins, Libra. The stars are out – for you! Oh, all the stars are coming out tonight. They’re lighting up the sky tonight. For you, for you, Scorpio! It’s more than just a birthday season. 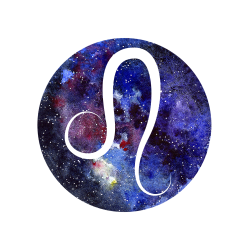 It’s a star-struck celebration that’s happening in your sign this week. The Sun’s arrival on the 23rd brings the planetary total in your 1st to four planets. You will not have a birthday beginning like this for another 12 years. The stars – the Sun, Mercury, Venus and Jupiter are lighting up a new cycle of potential for you but this springs from your past in some way. The reason for this being that Venus which rules your bank account and your love life, is retrograde. This is going to link you to something that has been set in motion before but could just appear in a brand new guise – this is after all, your fresh start for the next 12 months. Your ability to attract and pull past opportunities back into your orbit, reborn or reshaped in a new and perhaps surprising way, will be boosted now thanks to the Sun and Venus meeting this week. You also have a full Moon appearing in Venus’s ruling house in your chart (7th). Surprise outcomes involving you and at least one other person could be part of those celebrations as the full Moon falls conjunct Uranus also in your 7th. Past, present and future partnerships or working relationships feature. All of these impact on the North Node in your 10th of career and reputation. What is it or who you are serious about? Make that extra effort to impress both professionally or even on a personal level. You’re a star in the making this week so act like one. Be a little bit theatrical and immerse yourself in the role you see yourself playing in the coming year. That’s what stars do. Act the part this week, Scorpio. In a nutshell: Welcome to the most star struck birthday cycle you’ve experienced in a very long time. 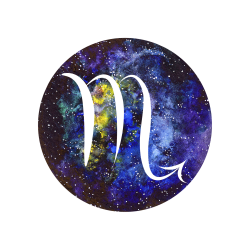 The past gives birth to a brand new cycle for you, Scorpio. All because the stars are out for you now! What is going on behind the scenes this week is all important, Sag. You’ve less than a month remaining until ruler Jupiter arrives in your 1st for the first time in 12 years. At that point you are going to move from a behind-the-scenes position to a front of house one. If you have felt overlooked or just working in the dark, all this is about to radically change for you. Something set in motion that you have to all intents given up on, could be about to make a return. This could be the biggest comeback for anyone since John Travlota’s in Pulp Fiction. For now, as the Sun arrives in your 12th on the 23rd, joining Mercury, retrograde Venus and yes, Jupiter, it is all about looking at what you need to toss and what you take forward with you into this new cycle. This is your house of the past and the fact is, that is where a lot of the baggage you may have accumulated needs to be left, Sag. This can be anything from worn-out relationships, clothes that no longer fit or suit you, to situations and those thoughts. It’s time to let go of self-blame and guilt especially. This week will see the Sun and that retro Venus meet in here which could mark the start of that comeback for you. They both oppose a full Moon in your house of work and wellness which falls conjunct Uranus in here. All of these square the North Node in your Sag-influence 9th which for you, comes with an additional golden glow. You will see all too clearly you are certainly not destined for a backroom role, even if that has been going on for a while. You are destined to stand out. Denying this is like denying your true nature which only makes you ill. Embrace your destiny and stand out this week, Sag. In a nutshell: This week asks you for a soul declutter and to get rid of anything that confines or detracts from your wellbeing. No more working behind the scenes. The spotlight is calling. What is it you want to go for, Capricorn? To experience, have or achieve? This week says if there is anything on that wishlist, just what are you waiting for now? Extraordinary planetary action is taking place in your 11th of friends, acquaintances, groups and goals this week. What you have been wishing for or wanting and quite possibly also working towards for some time, is deeply personal. Plus you take it seriously as you always do when it comes to what’s important in your life. This week tells you the time is now and also that it is no time to keep whatever this is to yourself, It’s time for the collaborators, the vision-bringers or just the cheer squad to be mobilised in your life when it comes to what you need to achieve now. Venus retrograde in here links us to past goals and also people from our past. Expect to encounter old friends and contacts as the Sun and Venus meet in here and oppose Uranus (the 11th is Uranus’s ruling house) and a full Moon in your 5th. All of these make a cosmic angle to the North Node in your 8th indicating a major transformation or something which comes alive again. The Sun will also make a fabulous angle to your ruler Saturn in your 1st indicating this is linked to a long term and deeply personal goal or wish. This is not a time to stay home. Unexpected invitations lead to equally unexpected encounters or reunions. 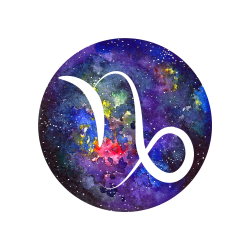 What you’re seeking will be found where you least expect it this week, Capricorn. But you’ll find yourself in the right place to receive it, no matter what. In a nutshell: Whatever it is you want, no more excuses when it comes to going for it, Capricorn. A heavenly line-up in your wish sector could put it directly in your path, if you take that first step. 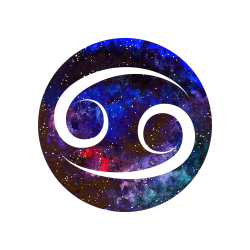 Ruler Uranus wants to revolutionise your living arrangements and your career path this week, Aquarius. 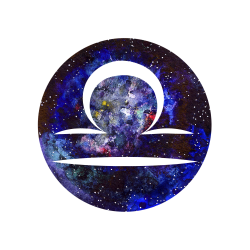 You would have had to have been living on well – Uranus, not to know your ruler is in your 4th of home, family, lifestyle and security for the first time in your adult life. This is a defining week when it comes to your future. For one thing, as the Sun arrives in your 10th of career, stability, rewards and recognition, it brings the number of planets in here to four. As well as the Sun you have Mercury, retrograde Venus and Jupiter in here. You will not have a line up like this in this house for another 12 years. It’s time to build on what you have already established or created. To reap the rewards of past efforts. Venus retrograde can bring back that career breakthrough you thought you missed out on. Or even that lover that got away. This week’s full Moon is in the Moon’s ruling house (4th) so is filled with emotional intensity. You may be feeling more emotionally vulnerable and also more in need to reassurance. Your awareness of what it is you need to give you that all important sense of belonging and safety will increase. This isn’t neediness. It’s knowing what you want. It falls conjunct your ruler and opposes the Sun and Venus conjunct in your 10th. All align with the North Node in your partnership sector which is of course, Venus’s ruling house. So, don’t be surprised if this involves someone you live with, work with or love. Above all, Uranus in here says this is about what gives you shelter and security. It’s yours to define and create. You can create your own sense of family and define what it is you need to sustain you. Come home to a different kind of love and one that works for you. In a nutshell: Define your place and your sense of purpose. This week has you focussed on what you need for your emotional and material security. Make a home for love this week, Aquarius. 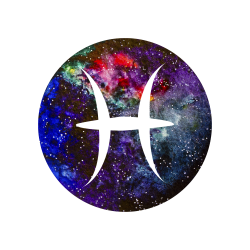 Something sets you free or opens up bigger, wider, broader learning opportunities or an experience this week, Pisces. The Sun enters your adventurous 9th, boosting your confidence and giving you a dream to aim for. Chances are, it just may be a dream you have had for some time. The Sun’s entry to this house in your chart brings the total number of planets in here to four – Sun, Mercury, Venus and Jupiter. This is Jupiter’s ruling house in your chart and you will not see a line-up like this occurring in here for another 12 years. Keep in mind that Jupiter is your ancient ruler – before the discovery of Neptune. I always like to remind people that while a new ruler adds additional depth and meaning to our sign, the ancient rulerships still apply. So, this week bring you an extra dose of Jupiter benefits. You need to be ready to grasp opportunity if it presents itself as you only have a few more weeks remaining of Jupiter in here. This week also sees a full Moon in your 3rd of news, commerce and communication which falls conjunct Uranus in here and opposes a wonderful meeting between the Sun and Venus in your 9th. Venus is retrograde at the moment which adds up to love or a money making opportunity which stems from your past. Travel is highlighted and if so, you could be travelling back to somewhere you have past ties to. This evocative full Moon sees you saying what needs to be said and also sets off a yearning to reach for something bigger. News especially around work or study could open up a fresh direction as it impacts on the North Node in your 6th. That ‘lucky’ break may be more than that. It’s part of your destiny. Go explore a bold new path. There’s a clear pattern in the sky for you to read and this tells you that the changes that want to come in are linked to your wellbeing too. If something needs to be said or done this week, don’t hesitate. You’re now breaking free from something that has held you back to your detriment for far too long. In a nutshell: Luck is on your side this week. Get ready to move when opportunity moves with you. Time to reach for something bigger now, Pisces.